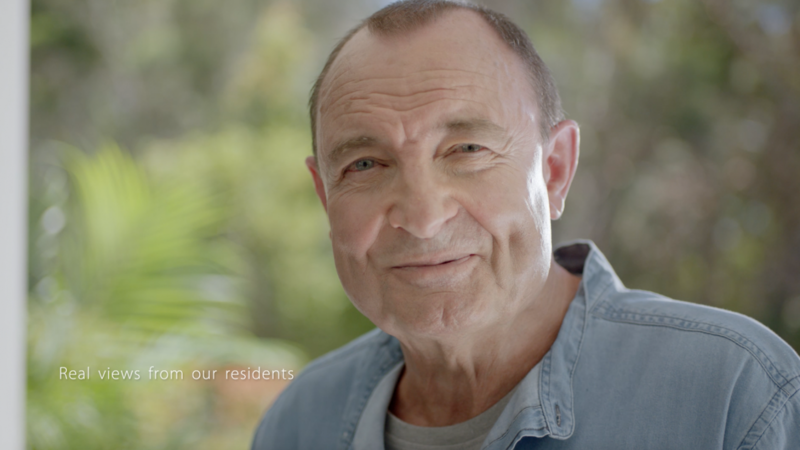 Aveo is a market leader in retirement and aged care living with over 100 villages across Australia. In the crowded Queensland market AVEO and the Leap Agency identified a Commercial TV Campaign as a key channel to promote their villages and drive sales. Aveo prides itself on the quality, range and flexibility of its retirement and aged care service offerings. The aim of this campaign was to give a genuine reflection of life within Aveo villages through the eyes of actual residents. Working closely with Aveo and The Leap Agency we began by casting a range of actual Aveo residents. The two commercials were then shot on location in Aveo villages with the aim of capturing realistic performances from our amateur talent. We shot a number of different scenes enabling us to create a variety of 15 and 30 second TV commercials.